Get rid of lock and key issues swiftly at any time of the day or night with our 24/7 services. Our company has the most effective auto, residential and commercial locksmith solutions. Our services cover all types of locksets and keys from the traditional mortise sets to the advanced electronic devices. You will have a completely secured property and easy access to it in the shortest imaginable time. Count on us to do the perfect job. Be certain that when you call us you will receive quick response. There is no long waiting on the line even if you seek our services later at night or early in the morning. Our team is extremely well organized and perfectly mobile. This enables us to reach even customers in remote locations extremely fast. We will find you before you know it even if you have to deal with a car lockout in the middle of nowhere. No matter what type of professional solution is required, it will be implemented fast. One of our most extensively used services is lockout opening. 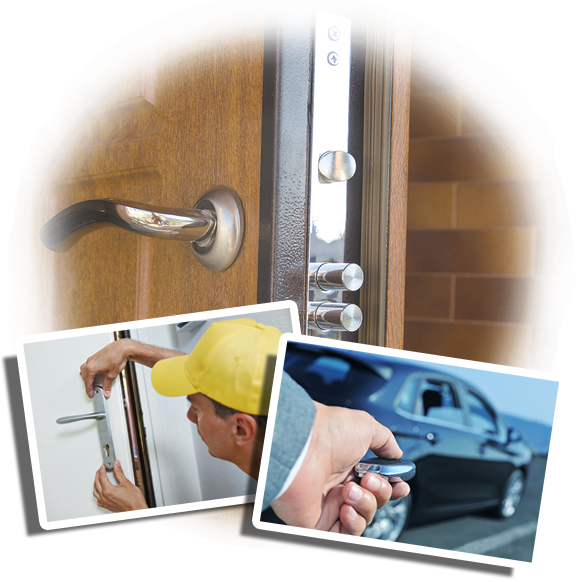 At "Locksmith Mundelein", we always choose the most effective approach depending on the specific cause of the problem. In case of lost house keys, our technician will rekey the lock. As a result, the locking device will not work with the missing keys but only with the new ones provided by us. Our company has the capacity to rekey any number of home and office locks in a short time to restore the security of the property completely. In case of break-in damage or unexpected lock malfunctioning, the affected device will be fixed masterfully. Our technicians use only technologically advanced tools and spare parts of top quality to provide lock repair service which is perfect in every respect. After a job is done, the device is tested to confirm that it works reliably and smoothly. When repair is not an option, we replace the existing lock with a new one. Our team is fully prepared to install a more advanced device that will provide a higher level of security to the property. The installation job is completed with accuracy and close attention to every detail. Do not assume that our services cover locks only. We are equally good at repairing and replacing keys of all types including transponder keys. After the repair, the items are as good as new. The replacement keys provided by us have great strength and durability as well as excellent functionality. Our team can fix faulty closers belonging to commercial doors as well. 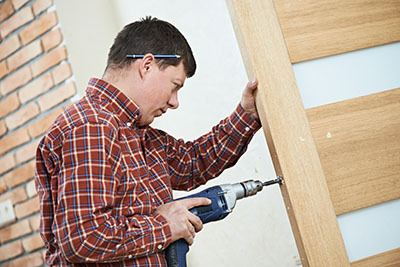 Our core goal is to make doors completely secure and the result is always superb. Browse our website to obtain more details on our specialist services.